Baltimore’s offensive game wasn’t pretty, but it didn’t need to be. CINCINNATI, Oh. 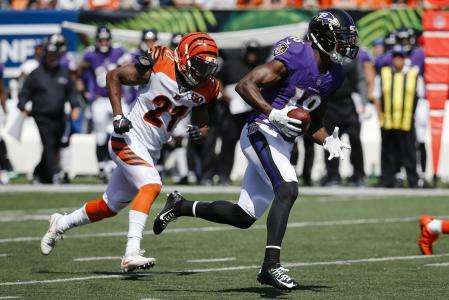 — The Baltimore Ravens were able to defeat the Cincinnati Bengals 20-0, mainly due to the Leonardo Di Vinci-esque masterpiece that was their defensive play. 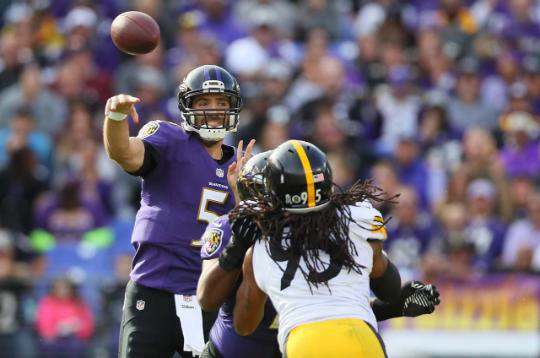 Baltimore’s offense, however, was more like a Frank Miller comic: gritty, grungy and tough. It may not show up in bright lights in the stat sheet, but Baltimore did a lot of good things on offense. They had possession of the ball 12 more minutes than Cincinnati did (36:00 to Cincinnati’s 24:00). Baltimore’s offense was able to control the clock with their defense playing so well and running game hitting on all cylinders. Despite not being particulary flashy, they rushed the ball 42 times, re-establishing the lost art of a Ravens rushing attack. Terrance West and Javorius Allen combined for 40 rushing attempts, 151 yards and a rushing touchdown by West. Joe Flacco checked in and out of plays consistently and made the right reads. The most important of these plays that Flacco audibled out of came on a 48-yard touchdown pass to Jeremy Maclin. 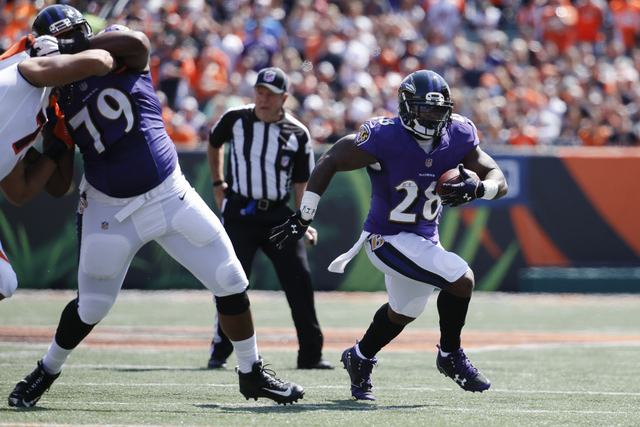 Maclin and Flacco made a read on the play, with Cincinnati coming on an all-out blitz. Maclin split throw the defense on a drag route and a masterful pick route by Ben Watson. In addition, Baltimore didn’t try to force the issue on offense. Despite a few errant throws by Flacco and an interception off of the hands of West, he didn’t try to make a huge play downfield and possibly get picked off. 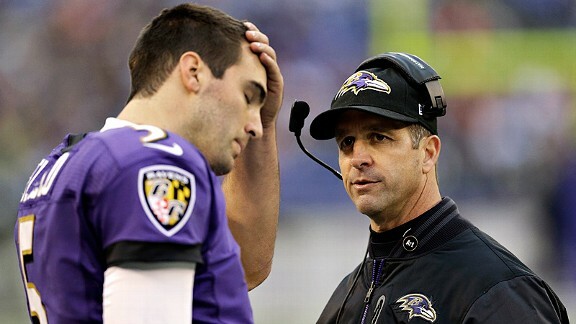 In years past, Flacco would go for it all and end up being intercepted trying to make bigger plays. This time around, he let his running game control the momentum of the game. The attention to detail that Baltimore showed on Sunday is what leads to victory. Not throwing the ball 40 times a game. Not high-stepping in front of defenders. Not missing blocking assignments. But doing what is asked of you and executing it to the needs of the team. That’s what Baltimore did on Sunday against the Bengals on offense.